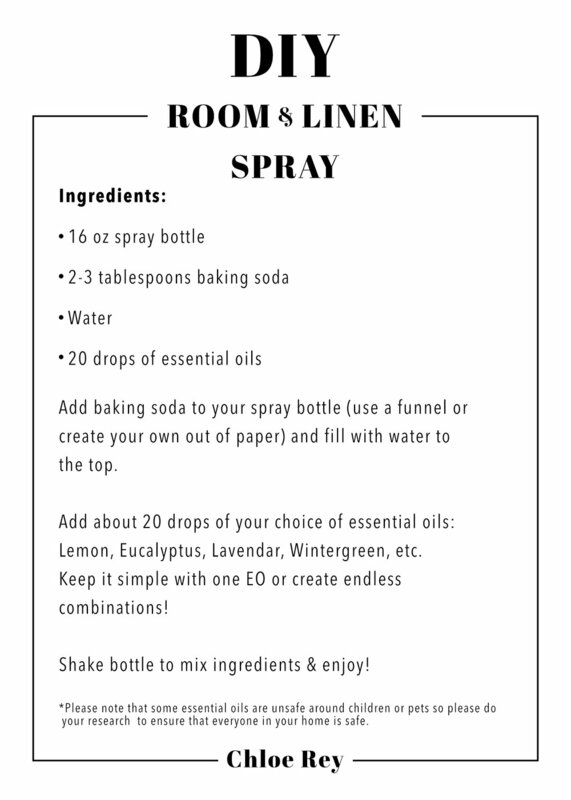 I posted a photo on Instagram a few days ago mentioning I made a linen spray - I got a lot of questions, so I figured I would write out my quick recipe for you all! This can also be used as a room spray, I usually give my couch cushions a good spritz after a vacuum and then spray the whole room. You can also do a few sprays of lavender on your pillows before bed to help with sleep! I think amber bottles look bomb and add a cool touch to your decor when you leave them out. I found mine at a local health food store in the essential oil section, but you can also buy them off of Amazon here. I like to make labels for them out of tape - you could also use metallic sharpies or chalk paint!